Just gross! 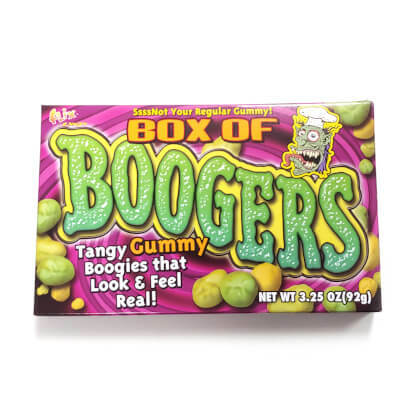 Tangy gummy boogers that look and feel like the real thing. 3.25 ounce box.